Adebayo Shittu is the summary of our degenerate politics. He was elected into the Oyo house of Assembly at 26. He must have been such a promising prospect. He had two brief stints as commissioner in Oyo state. He was even the state Attorney General. Many must have had real hopes and perhaps confidence in him. That state, like the nation, had been starved of seasoned, morally erect and insightful politicians. So no one could be blamed if anything that glittered , anywhere in the nations political field, was mistaken for gold. So much was given to Adebayo Shittu. Adebayo shittu is 65 now. He is the minister of communications. He seems a thoroughly failed project. He mistakes success for the positions he has held. So he seems perpetually self conceited. There is never a mention of any notable achievements. Okay, he has written some religious books. If he had any gift of introspection he would have been alarmed by his untamed moral sensibility. He would have spent some time reflecting on his fascination with mundane accomplishments. When he was made Communications minister by President Buhari many were certain he was a bent round peg in a square hole. Opponents pointed at ministers like Adebayo Shittu and wondered whether Buhari wasted six months dreaming or actually looking for a ministerial dream team. Shittu didn’t disappoint his mockers. Nothing remarkable has happened in his ministry. Shittu was seen occasionally in official pictures. As 2019 approached, Shittu became more visible. Rumours started sprouting. He had Oyo governorship in his sights. That is a lofty ambition. But Shittu didn’t have to leave the ugly impression that he was suddenly desperate to be in the news. A solid performance in the communications ministry would have been his argument for his desired position. Shittu is very street-smart. He had not much to show in ministerial performance. He contrived a substitute. One bright Wednesday morning he hopped into the Federal Executive Council chambers Abuja with a grin and big bags. The bags contained caps and vests promoting President Buhari’s re-election. Buhari hadn’t indicated interest to run in the 2019 elections then. But Shittu had realized that since his performance had been nondescript, his loyalty had to be extravagant. He began distributing the campaign materials. Other ministers cringed at his sycophancy which was well within the realm of buffoonery. The Secretary to the Government of the Federation rose and saved Buhari and the government further embarrassments. The bag was taken from him and his enterprise was contained the way any nauseous obsequiousness should be contained. If Shittu were unschooled, we could have had a simple explanation. We could have blamed it on illiteracy. That was what we said about Adedibu and his methods. But Shittu is a lawyer. That day at the federal executive council he was flagrantly breaking the law on electioneering and campaigns. Why are even our educated politicians so refractory to the acquisition of finer moral sensibilities? Why do they fawn without restraints, without regards for their children and public decency? Shittu is inexplicable. There is a part of Adedibu that is very visible in Shittu. That unpretentious cockiness. If one Razaq Olubodun, Shittu’s former aide, is credible then Shittu doesn’t have Adedibu’s invaluable generosity. Late Adedibu took good care of his ‘boys’ and protected them with jealousy. Razaq Olubodun has been everywhere telling tales of woes. He has described penny pinching selfishness. He branded Shittu a ‘chop alone.’ Shittu, who takes and gives without compunction, responded and branded his renegade aide a ‘kobo kobo’ traitor. We know that in Nigeria people can be hired and poached. And such political dramas can be staged for vendetta. Opponents can recruit casts from the kitchens of the rivals for great effects and believability. But Shittu hasn’t helped himself. At a radio programme recently, he took off his dress and revealed himself. What came to the fore in his exchanges with Sowore, the publisher of Sahara Reporters, at that station, was uncouth arrogance and total disregard for bounds of propriety. Listeners were grated by the vulgar presumptuousness of the minister. When he was not reveling in self congratulations on his precocious rise to ‘significance,’ he was denigrating online journalism. When he wasn’t sneering at poverty and an online publisher seeking the presidency, he was intoxicated about having occupied the office of a minister for three years. There, was a communications minister who disparaged an online newspaper the way a motor park tout would. If a communications minister was so out of touch that he was not conversant with the trajectory of 2018 journalism, he could have saved himself by being contrite. But Shittu was loud and effusively ignorant. He wouldn’t let go of conceitedness, so he couldn’t be freed from his ignorance. Every modern politician pretends to some civility in public. But it was in public that Adebayo Shittu contemptuously dismissed a 47 year old man as being too young to run for president on account of age. If this is the mindset of a lawyer who became a state legislator 30 years ago and who is the minister of communications, then our salvation may still be afar off. Our politicians spend many years in politics and learn nothing. We have no political culture. If there is any grooming, it is done by wily hands and unscrupulous minds. The system teaches only perversion. They see the suffering in the land first hand but they are pre occupied with self aggrandizement and the winning of elections. They hold many important positions but they acquire no positive experience. What they become are masters in the art of personal survival. They have seen the ephemerality of power firsthand but they do not lend their minds to any moral reformations. Their excitable souls are impervious to the lessons of history. They are carefree with history. They have seen the rich and powerful come to sudden death, come to timely deaths. But they are not moved by the futility of wanton acquisition of wealth in all circumstances. They have seen flowers bloom and puff today, and go limp tomorrow. Yet they puff, puff puff and attend to their fantasies with a sense of personal immortality…. 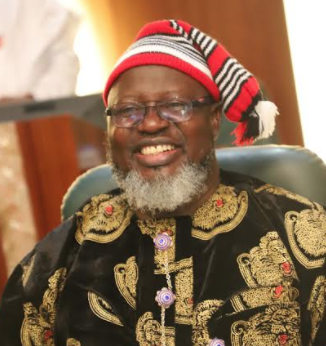 The post Adebayo Shittu: Minister of Communications, Sycophancy and Pomposity appeared first on Vanguard News. Previous Can the PDP cry wolf?